As our society becomes more and more concerned with self, it is time for us to push back with refocusing on what matters most. 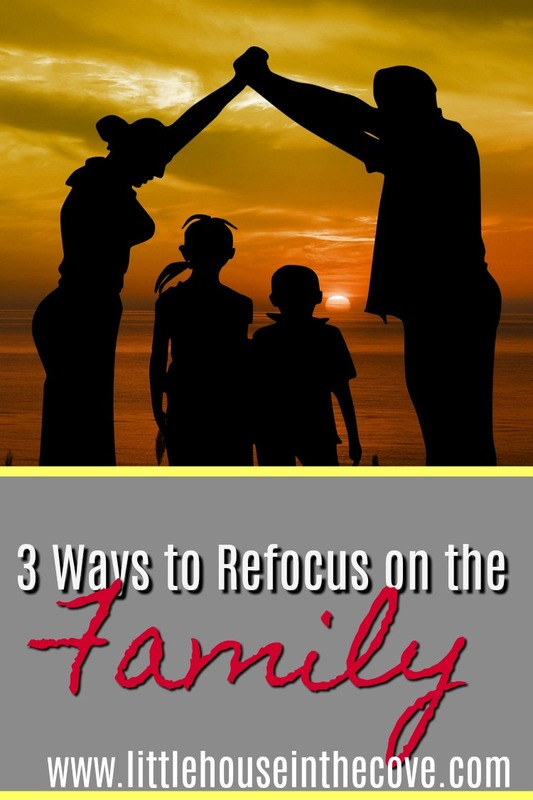 In this thought-provoking post, devoted wife and mother of four, Michelle Huddleston, shares three ways to refocus on the family. Michelle will be the first to admit that she didn’t always have her family’s best interests at heart. Despite how bold and awkward it may seem for someone to admit such a thing – it’s the truth. Having navigated through seasons of trying to find herself in the midst of one failed relationship, a new one that included a blended family, and adding on more children, Michelle has managed to learn what it genuinely means to refocus on the family. Before starting any type of healing process and a life of putting her family in their rightful position, Michelle admits that she had to first come to terms with her mess. This involved facing some hard truths that were swept nice and neatly under the rug. They were hidden in closets and tucked in places that blended in with other things she had going on in life. One of the biggest truths Michelle had to confess was that she had absolutely no idea what she was doing. Raised by a single, independent, hard-working mother, marriage and motherhood were two things that were not modeled so well. What she knew about marriage was that they start and stop when two people have had enough. And what she saw about motherhood was that you do what you can and let the village take care of the rest. Needless to say, after following in the footsteps laid out before her, Michelle knew she was on a path to repeating a life that she desperately did not want to live. 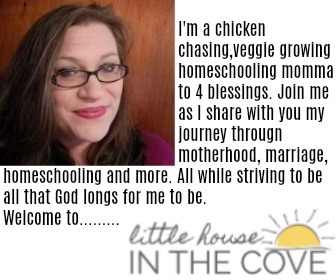 It wasn’t until she met her husband, Bryan, that she realized that she had what it took to focus on her family… even in the midst of choosing to homeschool and work from home. One of the biggest bumps in her season of shifting was purposefully seeing the value in having her family. Michelle was the teenage that said she was never having children because she wanted to travel the world. In her mind, having a family would only drag her down and keep her from fulfilling her dreams. Little did Michelle know that having a family would be the very thing she needed. Now, Michelle is able to see the value in having a family through God’s grace and mercy of even blessing her with one. She is thankful on a daily basis for their health and strength, even down to their unique spunky attitudes and occasional fits. The value that Michelle’s family adds to her life reminds her of times that she could have died and would have never had the chance to meet her precious children. Her marriage also reminds her that there is such thing as true love and that there is a person created for everyone who somehow can put up with their mess and love them anyway. Simply put, navigating down the road to refocusing on your family can start with seeing the value your family adds to your life. Another part of refocusing on the family involves embracing the journey. Lord knows this journey comes with all types of twists and turns, many that seem unbearable at times – but they are worth it. Michelle knew that the moment she decided to embrace the journey of being a wife and mother, all else would begin to take care of itself. Suddenly, the house doesn’t seem so dirty. Instead, it becomes more of an organized collage. The piles of clean clothes become a fun game of “I Spy” (a sock or two), and the midnight axe kicks to the face by the toddler just means that the baby is preparing for a future of karate classes. In times past Michelle would get frustrated at tripping over toys (grr, those Lego bricks! ), dirty dishes, and having two kids in diapers. But now, she understands that it’s part of the journey… and it is part of refocusing on her family. To Michelle, this is one of the most important and most rewarding parts of having a family. The memories. Often times Michelle found herself worried too much about the things that mattered least causing her to miss out on the things that mattered most. Taking a trip down memory lane helped bring this into perspective for her because with most of her memories, there was, “I don’t want my kids to say that about me!” tacked on to the end. So, at this point, it became a pursuit of creating purposeful memories that are pleasant to look back on. Doing things like having family devotional time, taking neighborhood walks, and having weekly movie nights are just a few ways she helps to build memories her kids will remember and hopefully pass down to their children. Of course, Michelle isn’t perfect, nor does she claim to be. She doesn’t have all the answers, and there are times when she goes a few days without a decent shower. Her hot cup of coffee turns into iced coffee at the expense of all the kiddos waking up at the same time. And she may occasionally speak above a level 5 to get everyone’s attention. Even still, Michelle knows that taking the time to ensure she is focused on her family reaps a greater reward. To help guide you on a journey of (re)focusing on your family, Michelle would like to give you a free printable – Focusing on Our Family. Simply download, print, and hang on your refrigerator. Glance at it as a quick reminder and/or use it to create family discussions. **Signing up for this freebie will add you to the Little House in the Cove mailing list and With the Huddlestons. Michelle Huddleston is a wife first and a mom second. She is also a self-published author, servant, and Home Education Specialist. Michelle’s desire besides leaving a legacy for her family is to link arms with other women and help them learn to live unapologetically authentic in their calling as women, wives, mothers, and mompreneurs. Connect with Michelle on Facebook, Instagram, Pinterest, and YouTube!